Christmas is nearly upon us. Millions of Americans are rushing to make preparations. Gifts will be wrapped. Turkeys will be cooked. Cookies will be devoured. But this time of year is also notable for one cherished tradition. Many people give to worthy causes this season. Perhaps you have given to the Salvation Army outside your grocery store. Numerous groups rely on your generosity to do good at Christmas. But there is one you may not have heard of. This group works to honor our veterans. This year they have been stunned by an overflow of kindness. Thanks to Americans, over 1.5 million tombstones of fallen veterans were decorated for the season. 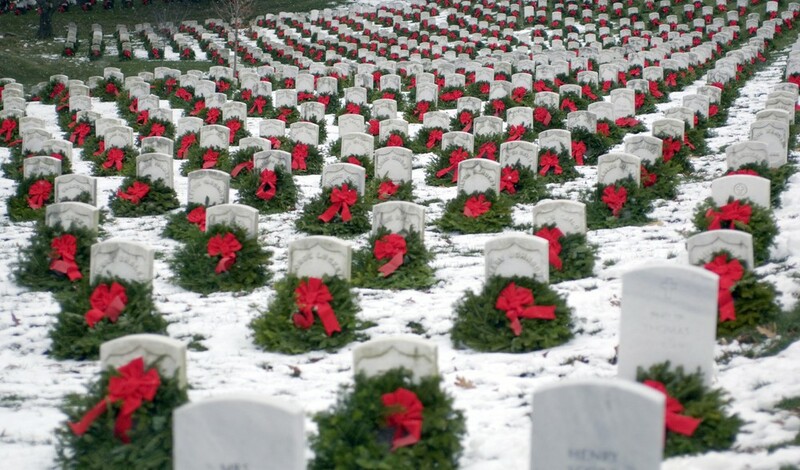 “Remember, Honor, and Teach,” amounts to Wreaths Across America’s stated mission on its website. This is a simple tradition, but it is vitally important. Each grave is there for us. Those men and women died so we can celebrate Christmas. Their sacrifices ensured our freedom. The outpouring of wreaths was amazing this year. People donated their time and money to help. Across the country, the graves of American heroes weren’t neglected. This is a special way to honor our veterans. Hopefully the trend will continue with each passing year.